Provided to YouTube by Warner Music Group I Can · Helloween Treasure Chest ℗ 1998 Sanctuary Records Group Ltd., a BMG Company Performance: Helloween Auto-generated by YouTube. Provided to YouTube by Warner Music Group Forever & One · Helloween Treasure Chest ℗ 1996 Helloween Ltd, under exclusive licence to Sanctuary Records Group Ltd, a BMG Company Performance: Helloween Auto-generated by YouTube. 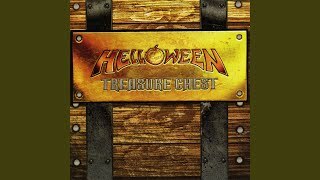 Provided to YouTube by Warner Music Group Power · Helloween Treasure Chest ℗ 1996 Helloween Ltd, under exclusive licence to Sanctuary Records Group Ltd, a BMG Company Performance: Helloween Auto-generated by YouTube. 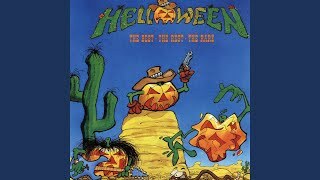 Provided to YouTube by Warner Music Group Where The Rain Grows · Helloween Treasure Chest ℗ 1994 Helloween Ltd, under exclusive licence to Sanctuary Records Group Ltd, a BMG Company Performance: Helloween Auto-generated by YouTube. 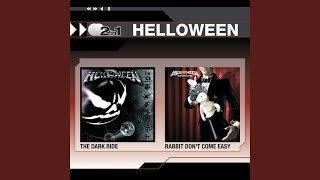 Provided to YouTube by Warner Music Group Hell Was Made In Heaven · Helloween The Dark Ride / Rabbit Don't Come Easy ℗ 2003 Nuclear Blast GmbH Lyricist: Andi Deris Lyricist: Andreas Deris Lyricist: Andy Deris Composer: Markus Grosskopf Composer: Markus Großkopf Composer: Markus Peter Grosskopf Auto-generated by YouTube. Provided to YouTube by Warner Music Group Grapowski's Malmsuite 1001 · Helloween Treasure Chest ℗ 1994 Sanctuary Records Group Ltd., a BMG Company Performance: Helloween Auto-generated by YouTube. 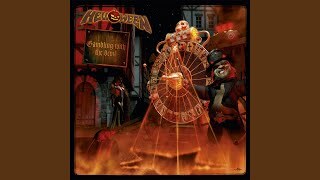 Provided to YouTube by Warner Music Group The Saints · Helloween Gambling with the Devil ℗ 2016 Nuclear Blast Composer, Lyricist: Michael Weikath Auto-generated by YouTube. Provided to YouTube by Warner Music Group Livin' Ain't No Crime · Helloween The Best, The Rest, The Rare (The Collection 1984-1988) ℗ 1988 Sanctuary Records Group Ltd., a BMG Company Drums: Ingo Schwichtenberg Guitar: Kai Hansen Bass: Markus Grosskopf Vocals: Michael Kiske Guitar: Michael Weikath Engineer: Tommy Hansen Engineer: Tommy Newton Auto-generated by YouTube. 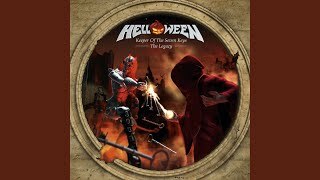 Provided to YouTube by Warner Music Group The King for a 1000 Years · Helloween Keeper of the Seven Keys: The Legacy ℗ 2016 Nuclear Blast Composer, Lyricist, Writer: Andreas Deris Composer: Helloween Composer: Markus Peter Grosskopf Composer: Michael Weikath Composer: Sascha Gerstner Auto-generated by YouTube.